Their papers are written and the last little blue book handed in but for 170 Yeshiva University students, the learning’s just beginning. 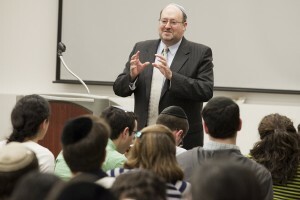 The Center for the Jewish Future (CJF) is offering seven intersession missions spanning three continents and five countries, engaging students in experiential education that will explore Judaism’s relationship to the global environment and Israel, the development of community life in cities across the United States and the historical and modern identity of Ukrainian Jewry. Originally from Caracas, Venezuala, Perla Maikhor, an education major at Stern College for Women, will participate in the Mexico 2011 Humanitarian Mission. “I wanted to show passion and devotion as a Latina Jew doing tikkun olam [repairing the world],” she said. Read on for winter mission highlights. 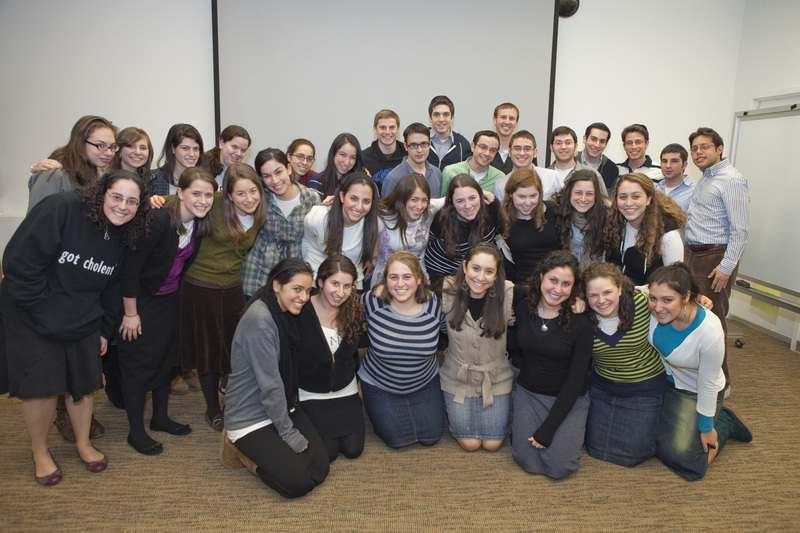 With support from the Jim Joseph Foundation, the Jewish Life Coast-to-Coast mission will take 20 YU students to Atlanta, GA; Richmond, VA; Charleston, SC; and Boca Raton, FL—four communities in different stages of development. They will engage in volunteer work and meet with educators, professionals and rabbinic and lay leadership to learn about the history, challenges and dreams that shape each community’s identity. 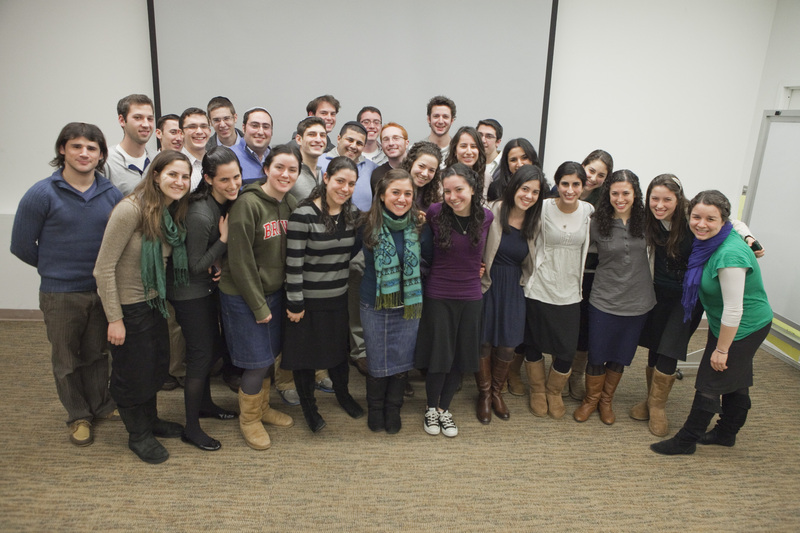 Forty YU students will explore their dual loyalties to their homes in the Diaspora and Israel in this week-long mission. Meeting with olim [immigrants] and citizens of widely diverging backgrounds, religious beliefs and political perspectives, they will immerse themselves in the complex issues at the heart of aliya and Israeli citizenship today. Rabbi Yaakov Neuberger, rosh yeshiva at YU’s Rabbi Isaac Elchanan Theological Seminary (RIETS), will accompany the students on the mission, which is supported by the Jim Joseph Foundation. 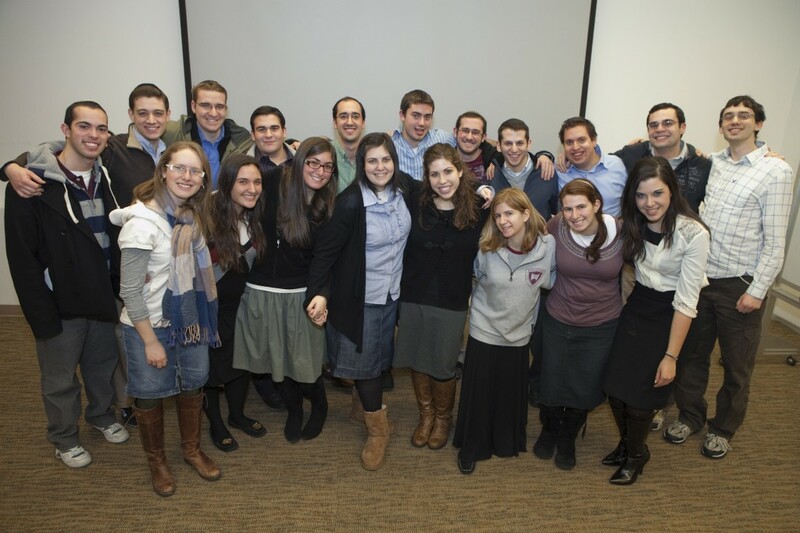 Thirteen students will serve as ambassadors from YU to the 2011 Limmud NY Conference in upstate New York. At Limmud, a diverse community of Jews come together for a four-day convention that includes lectures, workshops, text-study sessions and discussions. Students will interact with Jews of all denominations, sharing their commitment to an Orthodox lifestyle and benefiting from the opportunity to spend a weekend with other Jews on a path of spiritual exploration. On this two-week program, 20 YU students will delve into the rich heritage and complex post-communist identity of Ukrainian Jewry, accompanied by Rabbi Brander. In Kharkov, they will volunteer with local Jewish peers and visit shtetls outside the city. Students will also be rooted in social and historical context through discussions with Russian American Jewish Experience participants in New York and the American Jewish Joint Distribution Committee (JDC) in the Ukraine. Project Kharkov is run with support from the Eckstein Family andRepair the World and in partnership with the American Jewish Joint Distribution Committee. Quest is the CJF’s intensive two-semester training program for undergraduate leadership. To highlight Quest Fellows’ focus on the importance of their work and the values that drive meaningful and effective leadership, the Quest II experience culminates with a mission to Israel, where participants work on volunteer projects and meet with a diverse cross section of Jewish communities and their leaders. The Quest Leadership mission focuses on the Negev, spending time in Yeruchum, Be’er Sheva, S’derot and Halutzah, an area in the Negev where still-displaced Gush Katif evacuees plan to settle. Quest participants have raised awareness and $40,000 for the Halutzha cause all semester and will deliver those funds on the trip. They will use their hands to develop the land and their minds to engage with students and leaders of the community. After a year studying and practicing leadership, this mission will expose students to leadership that has overcome great obstacles and inspire them to implement that strength and resolve in their own lives. 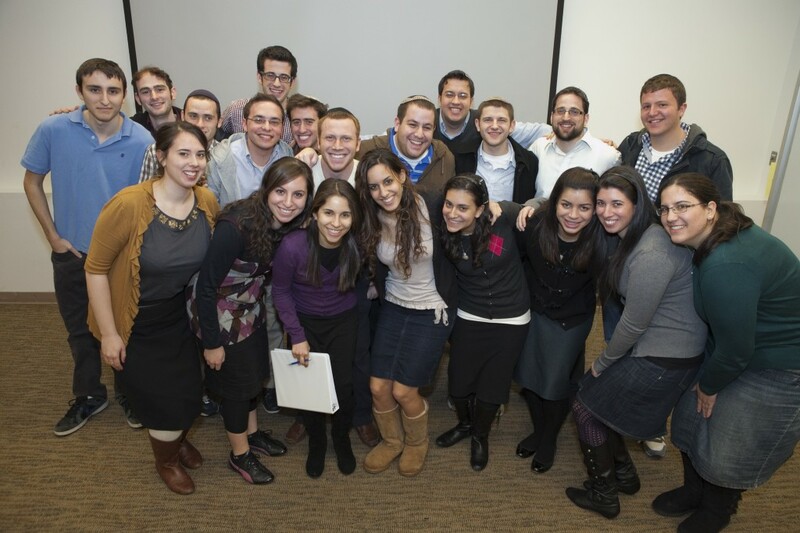 The Quest Leadership Mission is run in partnership with the Jewish National Fund. In Cancun, Mexico, 16 YU students will work with Hombre Sobre La Tierra (HST), a humanitarian group that seeks to provide Mayan peasants with the means to produce their own food and integrate women into the Mexican economy. Students will be paired with individual families in the Muchucuxcah community in the municipality of Chankóm and learn agricultural techniques rooted in Mayan tradition. Class sessions addressing Jewish concepts like tzedaka [charity] and tikkun olam [repairing the world] will frame the experience in a light of self-growth and moral responsibility for humanity. Servicios Medicos Comunales, a nonprofit association that supports community-based development initiatives, will host 16 YU students in Boca de le Montana, Nicaragua. Living among locals and sharing their way of life, students will learn about issues that affect developing countries as they work together to enhance living conditions in the community. Class sessions focusing on tzedaka and tikkun olam will ground their work in the context of Jewish responsibility to improve world conditions. Rabbi Yosef Blau, mashgiach ruchani [spiritual guidance counselor] at YU will accompany students on this mission. The Humanitarian missions to Nicaragua and Mexico are in partnership with the American Jewish World Service.